ITI Limited has signed agreements with leading startups and original equipment manufacturers (OEMs) covering the manufacturing of a wide range of ICT-IOT based solutions. These include civil and military advanced radar systems, advanced edge router systems, next generation 5G technology products, data storage and networking solutions, digital security solutions, advanced metering solutions, and wi-fi products and solutions. 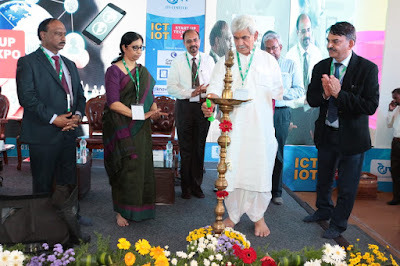 The agreements were signed today, in the presence of Union Minister of State (Independent Charge) for Communications and Minister of State for Railways, Manoj Sinha and Chairman, Telecom Commission and Secretary, Department of Telecommunications, Aruna Sundararajan on the sidelines of the first edition of ITI’s two-day ‘ICT & IoT Startup Tech Expo’ in Bengaluru.